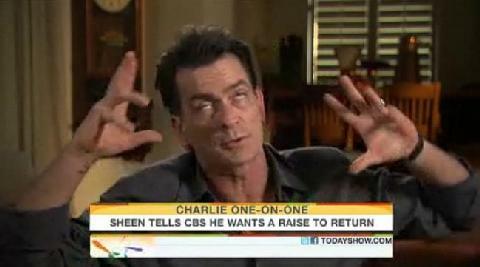 Charlie Sheen’s ‘Two and a Half Men’ Suspended While Ratings Are High? *A TV actor must do everything short of shooting at the director in order for a network to pull the plug on the show while it has high ratings. The show drives the ratings, the ratings drive the money, and the network gets PAID BIG MONEY to keep everything running like a well oiled machine. So in Charlie Sheen’s case–who WASthe highest paid actor on television at $2 million per episode– it is apparent that his cheese has slid completely off the cracker because they have just given him the boot. Previous ArticleRush Limbaugh At It Again…Abortions Taking over Klan’s Mission? I wonder how much rope they would give a Black actor behaving this badly? rope? shoe lace? my, my, your kind, I thought they’d just kick us off the edge! !